November is a month where we (in the Northern hemisphere) have to start thinking about winter, clearing snow, and extra blankets. But in 1971, November was a month of reaching new worlds. And November 14 in particular is a day like most others, except that on this day in 1971 the NASA spacecraft Mariner 9 (aka Mars ’71) became the first craft to orbit another planet when it entered orbit around Mars. Reaching another world in such a way is an important mark in the history of space exploration. 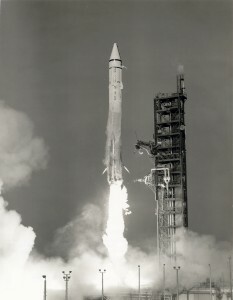 Mariner 9 launched from Florida on May 30, 1971 on a direct ascent trajectory towards the red planet. It was intended to have a twin spacecraft journey along with it, but a launch problem prevented Mariner 8 from getting off the ground. Incredibly when Mariner 9 was scheduled to begin mapping an enormous dust storm enveloped Mars, and so only the top of Olympus Mons was visible. That’s one heck of a storm – but even more incredibly, we were there to witness it. Mariner 9 just barely reached Mars orbit ahead of the Soviet spacecraft Mars 2 (November 27, 1971) and Mars 3 (December 2, 1971). Though the Soviet spacecraft both had landers, and so on November 27, 1971 Mars 2 became the first human made object to reach the surface of Mars – though due to an error in entering the Martian atmosphere, Mars 2 crashed. A couple months later in early December, Mars 3 successfully soft-landed on the surface of Mars, but due to an unknown computer error the probe stopped transmitting data after just 14.5 seconds of surface time. The craft was never heard from again. 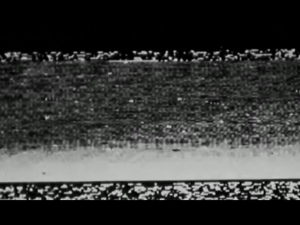 Mariner 9 though was quite successful. In total it returned 7,329 images of Mars during 11 months operating in orbit (it operated up until October 27, 1972). 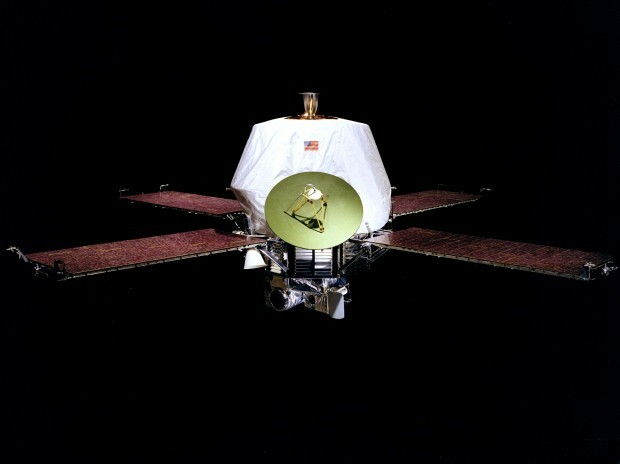 Mariner 9 remains in orbit of Mars to this day, though that orbit is slowly declining, and it is expected to enter the atmosphere of Mars sometime around 2022. Whether it will burn up or impact the surface is an open question. Moving ahead from the first missions to Mars to the present, November 2013 is again a month for Mars. On November 5, 2013 India’s space agency launched its first probe towards Martian orbit. Their Mars Orbiter Mission (aka MOM) spacecraft launched flawlessly and is set to enter the influence of Mars’ gravity on September 24, 2014. MOM’s goal is to study the Martian atmosphere, and in particular look for evidence of methane being present. NASA is also launching a probe to Mars when MAVEN (Mars Atmosphere and Volatile Evolution) blasts off. Its launch window opens on November 18. And I’ll be watching this mission closely as my name is on the orbiter: I filled out a form on the NASA website a while back, and now my name is digitally stored in the spacecraft’s memory. And so – at least symbolically – part of me will be on the journey as well. That’s a nice touch by NASA public affairs. MAVEN will study Mars’ upper atmosphere, ionosphere and interactions with the sun and solar wind. If it launches on schedule on November 18, it will reach Mars on September 22, 2014. The fact that these launches happen in groups (either historically or presently) is not a coincidence. The relative orbits of Earth and Mars align in an Earth-Mars transit-friendly manner about once every two years. I always get quite excited about missions to other worlds. We never know what secrets we will unlock, but they inevitably teach us as much about our blue marble as they do about anywhere else. After all, what transpired to form those clumps of rock, ice, and gas is very likely precisely what happened to form ours. ← Happy Carl Sagan Day!